It’s early days in the season, so this will be brief. Along with our bucket of asparagus from Greig Farm, we also picked up a bag of salad greens from Eagle Rooftop Farms (with a few radishes generously thrown in). 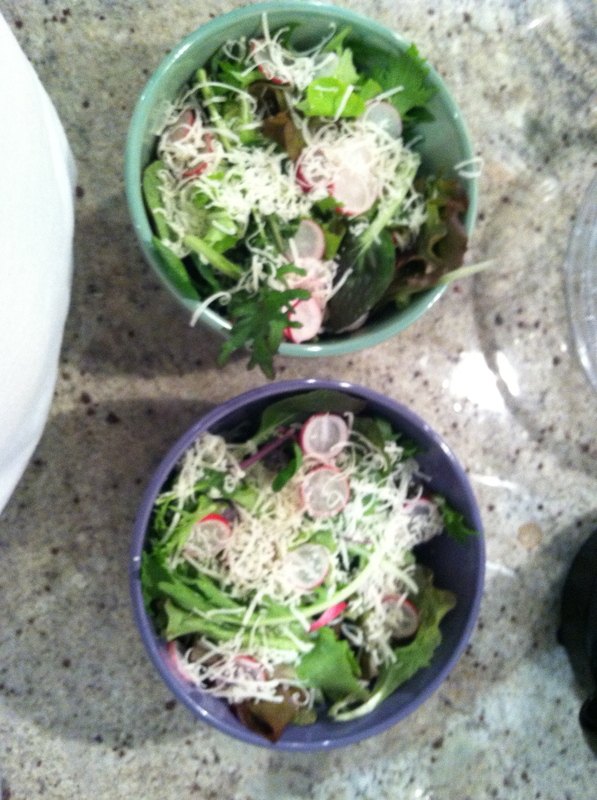 We rinsed the greens and served them with the sliced radishes, grated Parmesan cheese, and some oil and vinegar. Easy peasy, and delicious. 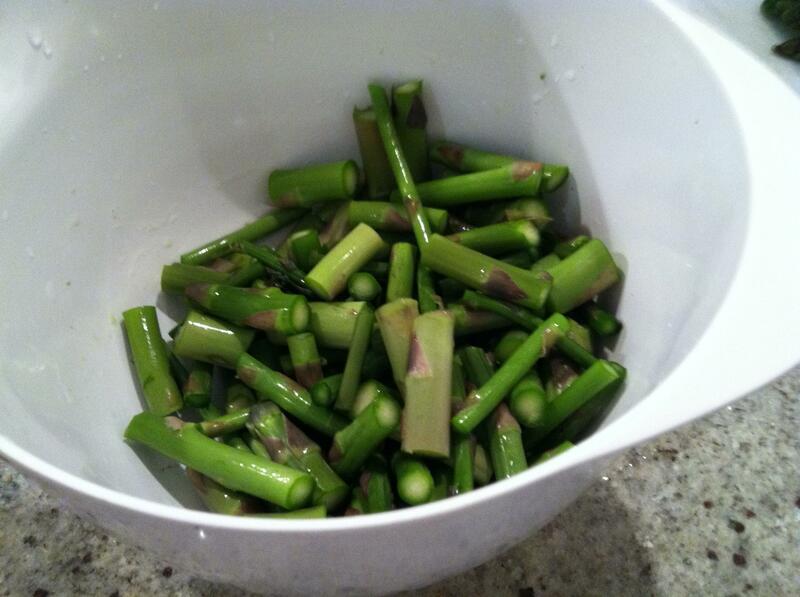 Cut the asparagus into tips, middle sections, and woody stems and cut the middle section into inch-long slices. Bring the stock to a boil. 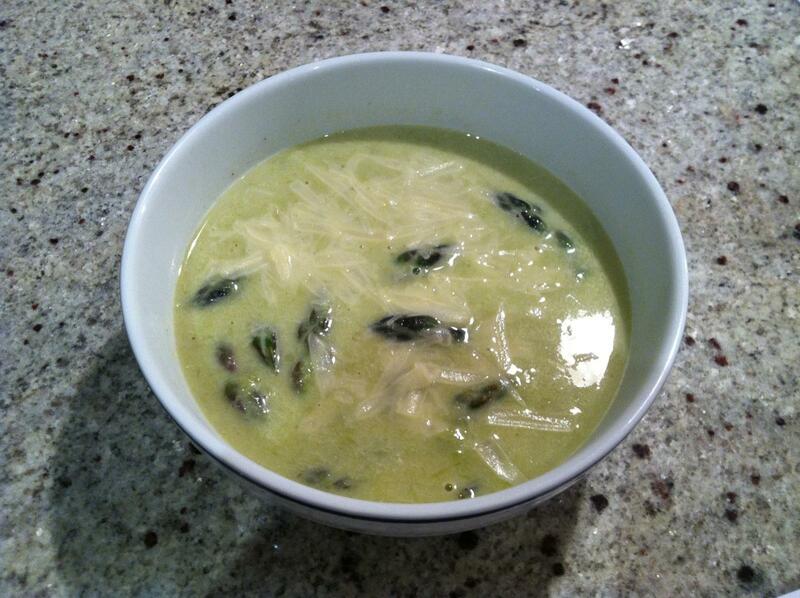 Add the woody stems, lower to a simmer for 20 minutes. Remove the stem ends with a slotted spoon and discard (or, better yet, salt and eat while you cook). Blanch the tips in the stock, about 1 minute. Remove the tips, cool in an ice bath, and keep to the side. Set the stock aside. Melt the butter. Add the shallots and leeks and cook over medium high heat about 3 minutes. 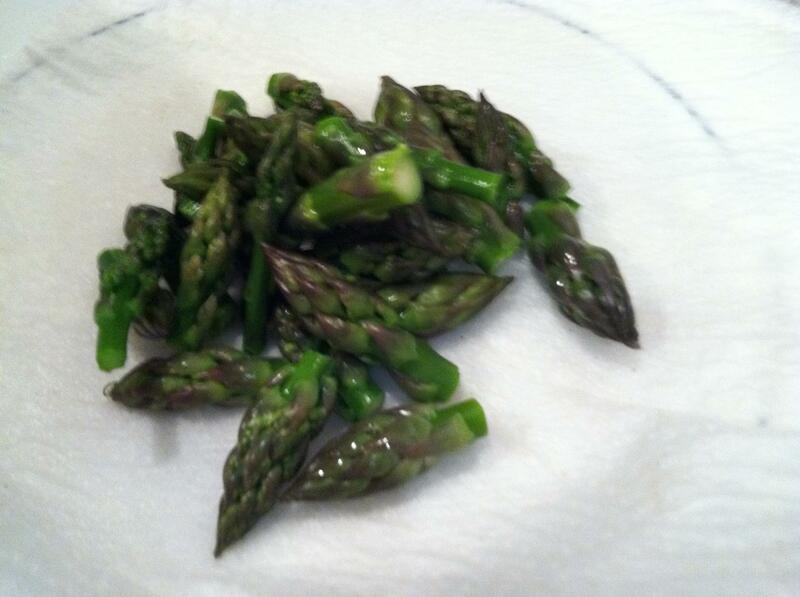 And the garlic, chopped asparagus stalks, salt, and pepper. Cook, while stirring, for 3 minutes. 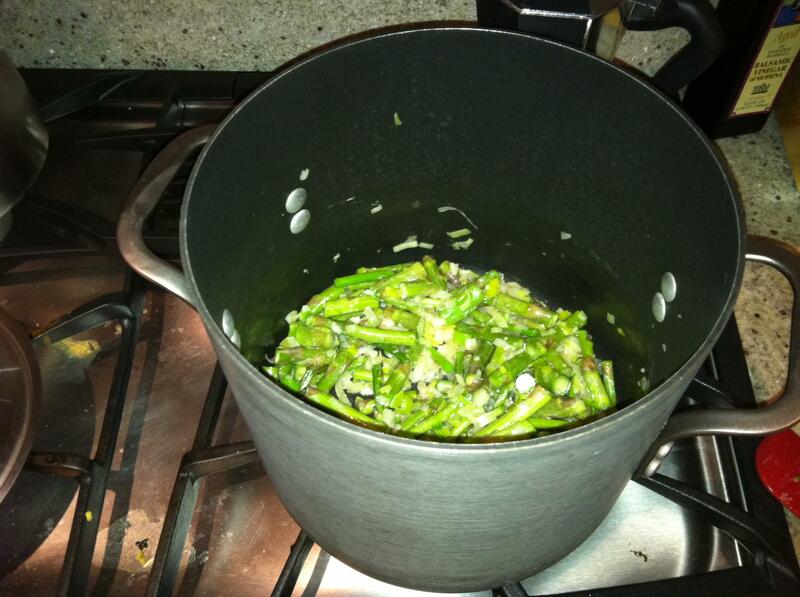 And the stock and simmer for 15 to 20 minutes until the asparagus is tender. Puree the soup in a blender until smooth and put back in the pot on a medium heat. 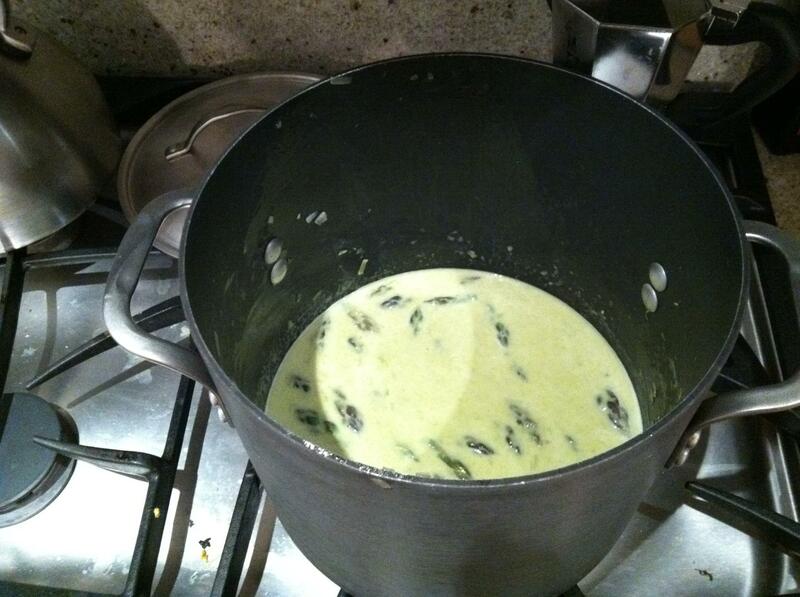 Add the cream and asparagus tips. Cook and stir for 3 minutes.